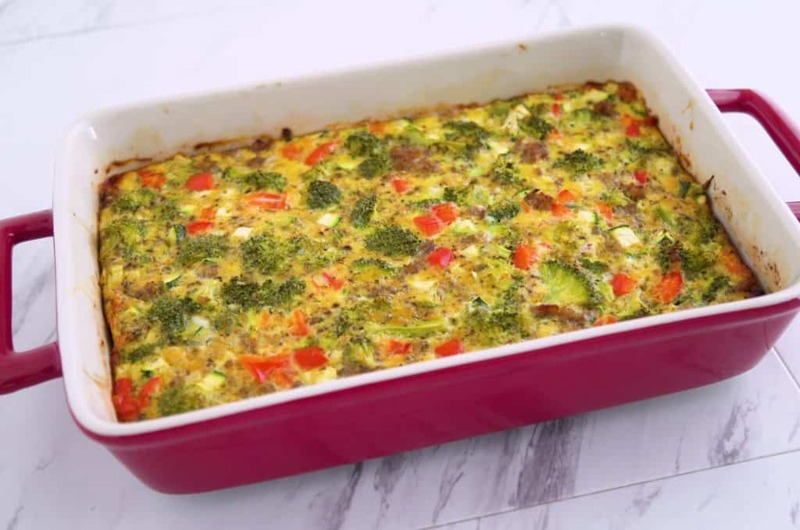 Low Carb & Freezer Friendly Keto Breakfast Casserole with Sausage, Eggs & Veggies! Lately, one pot meals have become ALL the rage—they make healthy cooking (and life in general) so much easier! But, all the carb-o-licious one pot pastas and chilis out there aren’t much help when you’re on a keto diet… Instead, I’m throwing it back to the ORIGINAL one pot meal, with a morning-time twist: my make ahead keto breakfast casserole recipe! 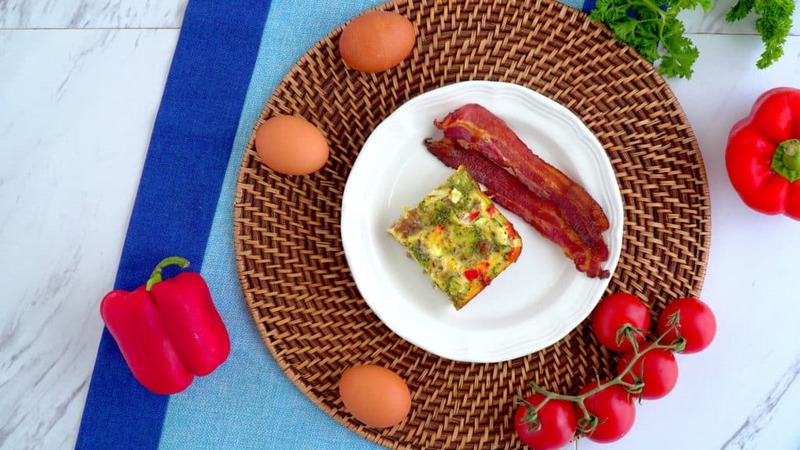 Most importantly, this keto breakfast casserole is totally MEAL PREPPABLE. You can bake it ahead of time, then refrigerate to use throughout the week. Or, you can freeze your baked casserole—either as an entire dish or cut into portions. Plus, you can even freeze your unbaked breakfast casserole and then bake it up fresh whenever you’re ready! If you’re looking for keto breakfast ideas, you don’t have to limit yourself to eggs and bacon every day. Don’t get me wrong, those are great options. 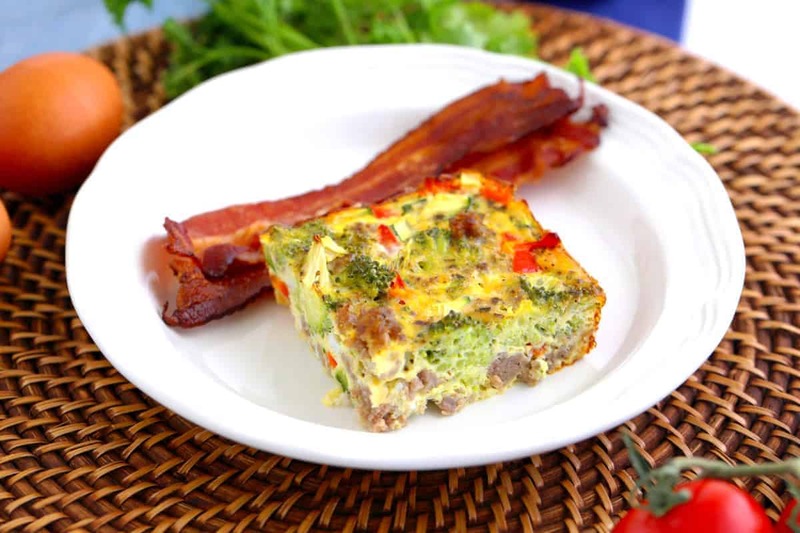 But, even if you already have breakfast staples that you love, it can be important to try serving them in new ways—like a deliciously easy keto breakfast casserole! Plus, you can’t beat getting 12 servings of breakfast cooked in 40 minutes…all in the same dish! 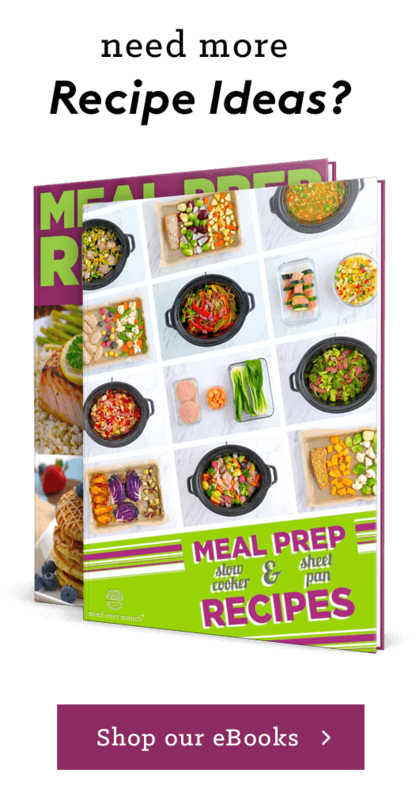 With some simple changes and a bit of creativity, you can keep your keto diet and weekly meal prep more interesting. Which is key to sticking with any healthy lifestyle, low carb or otherwise! 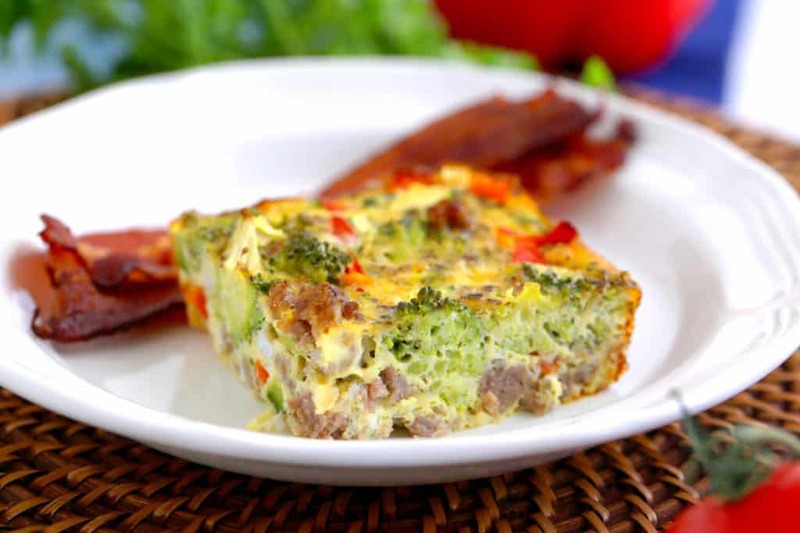 Overall, this keto breakfast casserole is pretty basic: eggs, sausage, and veggies. And you could absolutely cook those components individually and just serve them together on one plate. But, served as a breakfast casserole, I get to enjoy a different breakfast experience. And my brain and taste buds get a little boost of variety, which we all crave sometimes! Best of all, this is a great keto meal prep breakfast option that packs all of your breakfast components—fats, protein, and veggies—into one. When you want to eat, just grab a piece of casserole (or two) and reheat in the microwave! Or, you can even pack some to take on-the-go and enjoy cold. It’s just as delicious! A few simple seasonings make every bite flavorful, you get a balance of healthy nutrients, and it’s just plain convenient on a busy morning. Feel free to swap out the veggies for your favorites, use up leftover veggies before they go bad, or switch them up from week to week to week for even more variety! Just like those trendy one pot meals, this keto breakfast casserole is super easy to prepare. You don’t even have to sauté the veggies ahead of time! Simply cook your sausage, add it to your casserole dish, and pour in the egg mixture with your raw chopped veggies. All that’s left to do is pop it in the oven to bake, slice, and serve! Cook your keto breakfast casserole as you would normally and allow it to cool completely. Then, pop a lid onto your casserole dish and refrigerate up to 5 days, or freeze for up to 3 months! Similar to option #1, but cut your casserole into portions before storing in airtight containers or bags in the fridge/freezer. Fill up your casserole dish with your cooked sausage and egg/veggie mixture, then cover with plastic wrap and then foil and freeze! A great option if you’d prefer to eat this keto breakfast casserole freshly-cooked, but still want the ingredients ready ahead of time. You can find full make ahead casserole prep and reheating instructions in the recipe below! And, that ‘ladle-like’ definition is the foundation for how we still think of casseroles today. Because the ancestors to the modern casserole started out as dishes that everybody shared, all eating from the same, single pot. Hence: the ORIGINAL one pot meals! And, true to its history, this keto breakfast casserole is the perfect, comforting dish to share with your family or your low carb lifestyle pals. 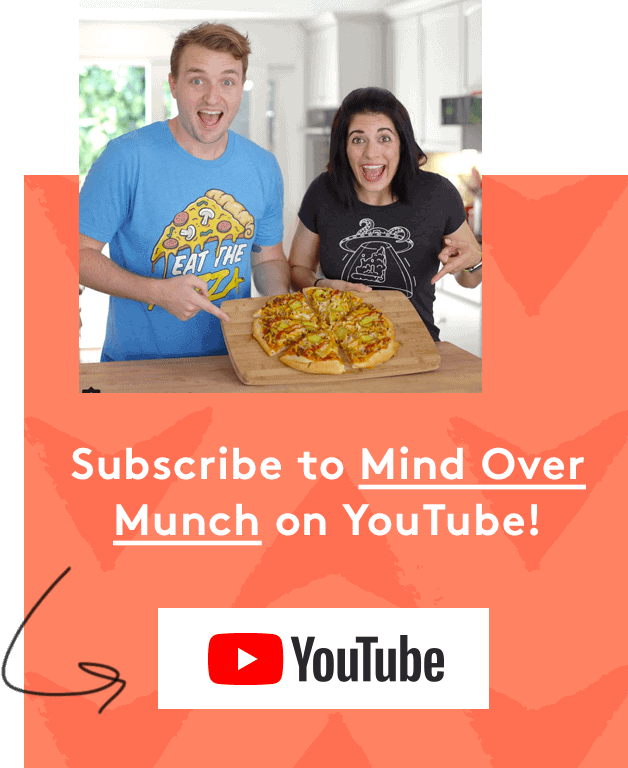 Get creative and make this recipe your own—there are no rules when it comes to casserolling (with your homies)! Check out my keto sheet pan eggs recipe, or learn how to cook bacon in the oven and freeze it to reheat later! In a skillet over medium heat, add a drizzle of oil and sauté onion and garlic. Once transparent, add sausage and cook until browned, 7-10 minutes. Add to a 13×9-inch casserole or baking dish and set aside. In a large bowl, whisk together eggs, milk of choice, and seasonings. Stir in chopped veggies. Bake until firm and cooked through, 30-40 minutes. Allow to cool slightly before slicing into squares, serving, and enjoying! Store leftovers in the fridge for up to 5 days, and reheat individual portions in the microwave. Yields 12 servings (depending on size of cut). Prepare and bake as described above, then allow to cool completely. Feel free to cut casserole into portions, or you can freeze the entire thing! To freeze the entire casserole: cover baking dish with an airtight lid and freeze. Lasts in the freezer for up to 3 months. On the night before you want to eat, transfer frozen casserole dish or desired portions to the fridge to thaw overnight. Prepare ingredients and add everything to your casserole dish. Cover dish with plastic wrap and then foil, and freeze. The day before you want to eat, transfer casserole dish to the fridge and allow to thaw overnight. Before cooking, remove dish from fridge and let sit on the counter for 30 minutes. Bake at 375°F (190°C) for 30-40 minutes. *Nutrition does not include optional shredded cheese. Keto/Low Carb Healthy Meal Prep For the Week!